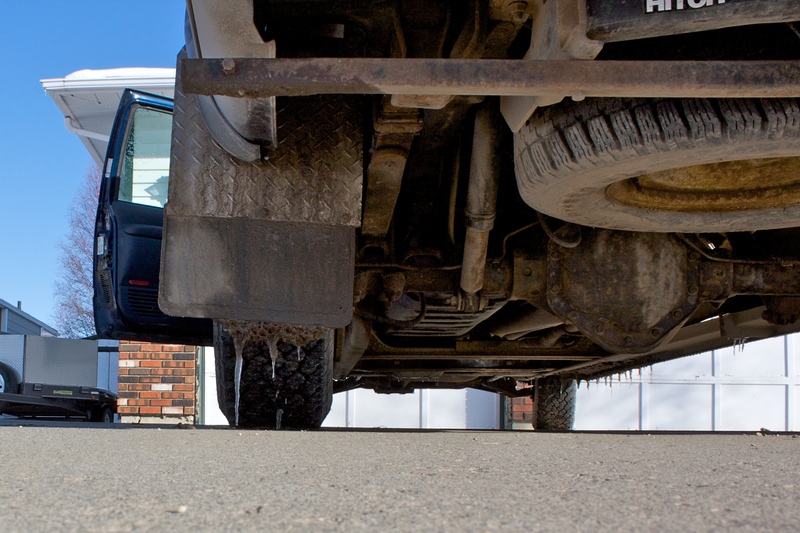 What are the Benefits of Keeping Your Vehicle’s Undercarriage Clean? When you plan on getting your car washed, it’s easy to think that keeping up with a consistent wash, wax, vacuum cycle can cover everything that needs to be addressed. There are certain areas, however, that require more intense effort. Chief among them is your undercarriage, which tends to handle more debris and rough terrain than the average part of a vehicle. A high-pressure cleaning of your undercarriage can help prevent unexpected maintenance issues that linger below the surface. What kinds of materials cause the problems that arise from neglecting your vehicle’s undercarriage? Dirt, road salt, and grime. Your car likely experiences a variety of terrains and climate conditions throughout the year, which add to the potential for damage as time goes on. Road salt is a consistent concern during the winter months. It can corrode the metal of your undercarriage and leave it exposed. Dirt, mud, rocks, and other materials can clog the draining holes, leading to a greater chance for rust. Speaking of rust… The biggest enemy to your undercarriage is rust, and the odds of it developing is increased by how often it is exposed to moisture. That’s why we make sure that your vehicle is completely dried off before the end of your Spiffy appointment. Rust can cause your car to wear down faster and, in extreme cases, keep it off the road entirely. Believe it or not, maintaining your undercarriage goes beyond the aesthetic quality of your vehicle. The engine and transmission release heat through the undercarriage, allowing for a consistent temperature while driving. By ignoring the underside of your car, you are running the risk of encountering overheating problems, which can cause a slew of damages under the hood. Don’t get caught with your undercarriage exposed! The Spiffy Undercarriage Turbo Clean can help ensure the longevity of your vehicle. By combining our Spiffy standard for excellence with the understated impact of a clean undercarriage, you can rest assured in knowing that you’re protected from any harmful compounds that can form over time. Winter is still in effect, which means that there isn’t a better time to refresh your undercarriage with our Turbo Clean upgrade. This January, we’re offering a chance for five lucky customers to win a free Spiffy + Shine package plus Undercarriage Turbo Clean upgrade, valued at $114 each! Don’t miss your shot at one of these prizes; be sure to sign up and enter today!